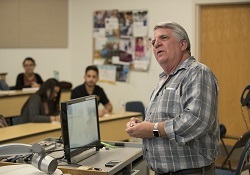 Our AACSB (The Association to Advance Collegiate Schools of Business) accredited MBA program from the Jack H. Brown College of Business and Public Administration (CBPA) at California State University San Bernardino (CSUSB) offers high-quality faculty, relevant curriculum, convenient class times and affordability! "The professors are very experienced and it gave me a great foundation to pursue a career in the U.S."
"The level of education, the passion of the professors, and the low cost is unrivaled." We have earned these distinctions through our world class faculty, exceptional support staff, and innovative program design. We also offer specialized experiential learning opportunities including an MBA Boot Camp, internship and study abroad opportunities, student clubs and organizations, graduate assistantships, career services, financial aid available. Together, with convenient class scheduling and low cost, our AACSB Accredited program is one of the best values in global business education. 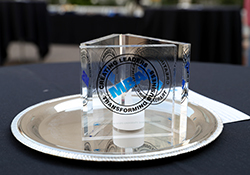 CSUSB MBA, where we transform today’s business talents into tomorrow’s leaders! MBA - Traditional Option (60 units): For qualified applicants seeking to develop in-depth, graduate-level knowledge in one or more specialized business areas. MBA - Professionals Option (48-60 units): For qualified applicants possessing early- or mid-career experience who seek to expand their professional knowledge and skills through graduate business education. MBA - Executives Option (48 units): For senior-level managers or executives who seek advanced business instruction to help them become more effective decision makers. 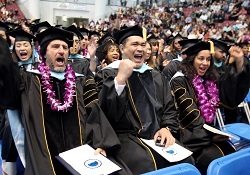 Cal Stat San Bernardino MBA program offers rigorous course work, mentoring from exceptional and well seasoned faculty, resulting in exciting and rewarding career opportunities. Please carefully review our admissions & tuition information so that you can determine which of our programs meets your needs and expectations. 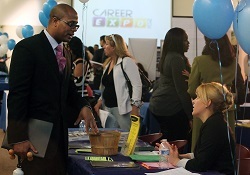 Pre-admissions advising is available to answer all your questions. 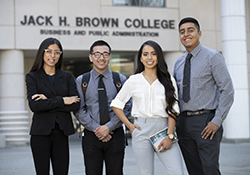 The mission of the Masters of Business Administration (MBA) program at California State University, San Bernardino (CSUSB) Jack H. Brown College of Business and Public Administration (CBPA) is to offer a high-quality master's level education. 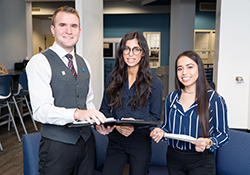 The program prepares students for positions of responsibility and leadership in business administration, emphasizing conceptual knowledge and practical skills. A quality AACSB accredited program, exceptional faculty and staff, convenient class times and an affordable price. AACSB Accreditation signals to the world that an institution has met the most rigorous standards of excellence in business education. Institutions that bear the AACSB-accredited mark demonstrate that they are committed to upholding—and advancing—the quality of their programs both at the undergraduate and graduate levels.